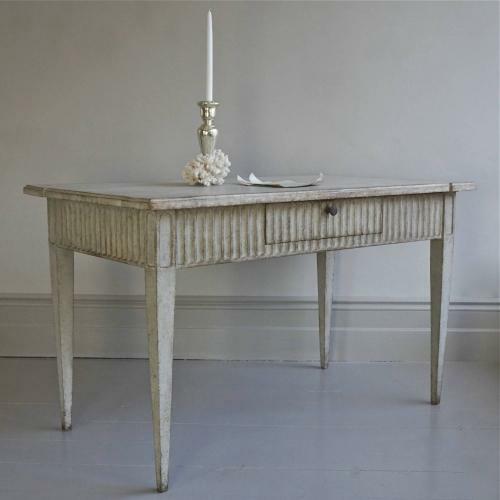 A very fine and richly carved 19th century Gustavian style table with decorative corners, scalloped apron with single drawer, and tapered legs. This beautiful and versatile piece could be used in a number of different ways in the home; as a writing desk, dressing table, console table, or lamp table behind a settee. Swedish circa 1840.